IHEU representative Leo Igwe has been imprisoned and beaten by police while rescuing two children accused of witchcraft. The incident, in Uyo Akwa State in Southern Nigeria on January 11, is the latest installment in an on-going campaign of harassment against IHEU’s representative for Southern and West Africa. Following interventions by IHEU, Igwe was released after spending a day and night in jail. To help support Leo Igwe’s work for IHEU please make a donation at www.iheu.org/donate. Igwe has been working throughout African to combat widespread human rights abuses caused by belief in sorcery and superstition. His campaign has attracted hostility not only from powerful religious leaders who organize “witch hunts” but also from political leaders who object to international publicity about these human rights abuses. In a radio broadcast last year, Uyo Akwa state governor Godswill Akpabio vowed to clamp down on NGOs working against witch hunts in the state. Local newspapers have reported that Igwe’s arrest is part of that campaign by Governor Akpabio. On Tuesday January 11, around 5 pm, I was arrested along with my driver and a photographer in front of a bank in Uyo Akwa State in Southern Nigeria . I arrived Akwa Ibom on Sunday, January 9 to rescue two alleged witch children abused and abandoned by their families. One of the kids, an 8 year old Esther Obot Moses was living with a mad man who raped her several times. On that ‘fateful’ Tuesday, around 5.40 am, I stormed a dilapidated building in Nsit Ubium where the lunatic lived with two police officers and successfully rescued the poor girl. We went to the police station, made an entry and got a police extract. Esther started vomiting on our way back. I took her to a children’s hospital in Uyo where she was treated for malaria. I later handed the children over to the Ministry of Women Affairs and Social Welfare. I ran short of money in course of doing this and rushed to a nearby bank to collect some cash. On leaving the bank, I couldn’t find my driver and the photographer who were waiting for me outside. I was accosted by a police officer who led me to where they were held and being questioned. I identified them as those who accompanied me to the bank and they forced me to sit on the ground. The police officers were asking us questions indiscriminately in their effort to implicate us or to confess to crimes we never committed. They accused us of planning to kidnap someone. All my explanations as to our mission at the bank fell on deaf ears. Later a bus with some gun throttling and fierce looking police officers arrived. They removed our shirts and used them to tie our hands at the back. They pushed and kicked us into the bus and took us to the Anti-Kidnapping Unit at the state police command in Uyo. Meanwhile we were in pains due to the way our hands were tied. On getting to the police station we urged the officers to untie our hands. But they refused. After a while one of the officers came and untied the hands of my photographer and replaced it with chains. I asked him to replace my own too. And he retorted “Don’t you know they are for sale?” Of course I didn’t know and didn’t bother to ask him how much the handcuffs were sold for. Another police officer said my hands were not properly tied. So he brought another shirt and tied my hands the second time. The pains increased. I literally lost all the sensations in my hands down to my fingers. I felt as if I had no hands or fingers at all. My hands were just dangling at my back as if they were lifeless. At this point the Officer in Charge (O/C) of the anti-kidnapping unit, a middle-aged man who is fair in complexion, came in and started interrogating me. Who are you? And where do you work? He asked. I told him that I worked with the International Humanist and Ethical Union (IHEU). That I was in Uyo for an ongoing campaign against witchcraft accusations and to rescue victims. Where is your organization based? He inquired. I said, London . As soon as I mention ‘London’ he hit me several times with a baton on my head and my legs. He said I was among those who used fake NGOs to make money in the name of campaigning against witchcraft accusations in the state. He asked other officers to move me to another room for further interrogation. On getting to the other room, the officer started beating and kicking me. The O/C later arrived and asked him to stop. He ordered them to untie my hands. I made a statement narrating how we were arrested. The O/C ordered us to be detained. The next morning the O/C invited me to make another statement on IHEU. He asked me to state where it was based, whether it had an office in Nigeria, how it raised its funds etc. which I did. They kept us in a squalid building where we were held incommunicado—without food, water or access to our telephones. But we managed to smuggle out the telephone numbers of our family members and friends through some visitors who helped us contact them. We were detained along with 50 other persons suspected of kidnapping in a room with one door and four windows all on one side. The apartment had no fan or electricity. It used to be hot in the night so most inmates slept naked, packed like sardines. Most of them slept on the floor, a few slept on plastic bags. I couldn’t sleep and spent the night massaging my swollen head by pressing it against the floor. All the detainees urinated, defecated, bathed and ate in the same room. Most of them had rashes, wounds and sores all over their bodies. They had no access to any medical care. And the police did not allow their families to bring them drugs. The police did not care a hoot about the welfare of the detainees. They only opened the gate by 6 am and closed it by 6 pm, and of course extorted money from visitors who came to see their loved ones. Even animals are treated better than the way detainees at the anti-kidnapping unit of the Uyo Police Command are treated. The police only arrest suspects and throw them into detention to languish and die slowly. Most of the detainees have been there for months awaiting trial. I had no doubt that some of the detainees were innocent citizens like us who were going about their business but were arrested and framed as kidnappers. In the morning of Thursday, January 13, news reached us that the O/C had agreed to release only my driver and the photographer. I was a bit relieved. Shortly after the news came, a Humanist friend, Barrister James Ibor, arrived and we were all released without charge, after a short meeting with the assistant commissioner of police. It appeared that there had been some pressure on the police authorities to release us. I still experience pains on my head, hands and legs. My left hand is still not functioning properly. But I am undeterred by the arrest, torture and detention—whether it was politically motivated or not. I will continue to work and campaign against witchcraft accusations and related abuses in Akwa Ibom state and beyond. 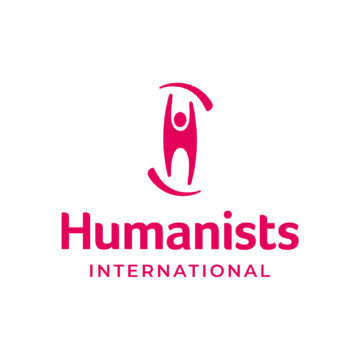 Donations to support the work of Leo Igwe and IHEU can be made here: https://humanists.international/donate. To ensure your donation is devoted entirely to Leo’s work, just send an email to office-iheu@iheu.org instructing us to do so.